Subhi Barakat discusses a new book exploring the rapid increase in the number of climate change laws. The book includes a chapter he co-authors with IIED's Achala Abeysinghe and Michal Nachmany of the Grantham Research Institute on Climate Change and the Environment, analysing the experience and trends within the Least Developed Countries. Subhi Barakat is a senior researcher in IIED's Climate Change research group. He is an expert on public international law, international human rights and humanitarian law, and international environmental law on climate change. In this Q&A, he discusses his work on a chapter in a new 'Trends in Climate Change Legislation' book, and in particular the leadership displayed by Least Developed Countries (LDCs) and the challenges they face in taking climate action. 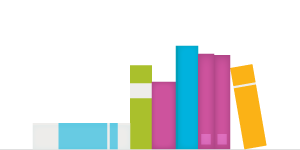 SB: The book looks at general trends in climate legislation around the world. It aims to give a birds-eye view of how countries are putting laws and policies in place, and the rate they're doing it to tackle climate change. Through a preliminary analysis of these trends this book also tries to identify key elements of climate laws. Before we get into the book's content, could you briefly explain what climate change law is – what does it look like in practice? SB: When many people think of climate law they picture an overarching law or framework covering all aspects of climate change. This can be the case but often the body of climate law in a country is an aggregate of different bits of legislation (sometimes new and sometimes old but updated to reflect climate considerations) that need to be considered as a whole in addressing climate change. And it is common for many of these bits of legislation to be sectoral laws with climate-related aspects rather than climate-themed laws in and of themselves. What is meant by climate law can also be tricky. 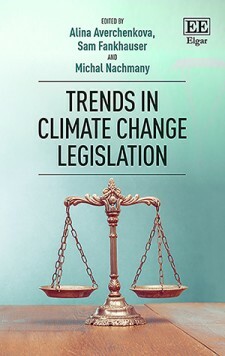 In the context of this book 'climate law' covers both climate-related policies and legislation, although law and policy can be quite different in their genesis, legal status, regulatory effect and potential overall impact. For the legal purists out there, climate 'regulation' or 'governance' might be a more appropriate term because it broadly includes both legislation and policies. And finally, classifying what is or is not a climate law can be challenging. Climate change impacts nearly every aspect of society, and there are many laws and policies that touch on climate issues and actions but don't explicitly mention 'climate change' and it isn't immediately obvious that they relate to climate change at all. These might be missed when canvassing the existing body of laws without a deeper look into the content of these instruments. As many countries, LDCs included, are increasingly mainstreaming climate considerations into their laws and policies, this could become less of an issue over time. So climate law exists at multiple levels – from legislation at national level up to the big climate agreements at international level? SB: Yes, it exists at all levels simultaneously. Perhaps the best way to picture it is that overarching rules around the process – and collective outcomes such as the global temperature target – sit at the international level. These would be part of the international legal framework on climate change that predominantly manifests itself in the UNFCCC, the Kyoto Protocol and the Paris Agreement. With these processes and goals in mind, countries commit to take action to reduce greenhouse gas emissions in general terms and these commitments are also at the international level. At the national level, countries take more specific measures that are appropriate for their national context. For example, a country might commit to reducing deforestation by a certain percentage over a particular period, put measures in place to increase its share of renewable energy by some amount, introduce a national carbon tax system, or mainstream climate change issues across different government sectors. Ultimately, these measures should put it on track to meet its commitments under international treaties, and climate legislation and policies at the national and local levels are how countries turn their international commitments into national measures that implement action on the ground. Why is this book particularly important now? SB: This book begins to crystallise what many already know to be the case − that countries around the world are taking climate change seriously and taking steps at the highest levels of government to address it. By identifying trends, we also start to see regional and other clusters with different approaches. This can give an initial idea of how climate change is being addressed in different contexts. The book also sets the stage for the next level of analysis that would compare approaches and results. In turn, this can feed into important lessons and experience-sharing for countries that are considering how to tackle climate change through national regulatory action and governance. And why are countries stepping up their climate laws now – is this following the Paris Agreement? SB: Yes, countries, if they haven't already, are now starting to put in place legal frameworks around climate change and sustainable development – and these frameworks have come largely as a result of the Paris Agreement and the 2030 sustainable development agenda (and its Sustainable Development Goals). Both are very relevant for climate law. They cement countries' resolve to not just take national action around climate change but also action that strives to tackle other global social, economic and environmental issues, such as eradicating poverty. These issues and actions to address them are very intertwined. Your co-authored chapter looks at climate change legislation in LDCs. What trends are emerging? SB: The chapter provides an insight into the experience within LDCs. Being among the most vulnerable countries, LDCs need to coordinate domestic regulatory responses to tackle climate change. But being the poorest and having the most severe resources constraints makes it very difficult for them to have the coordinated and holistic approaches countries strive for. It also means LDCs will tend to have less climate-related laws and policies overall and less comprehensive frameworks in place. In the chapter we explore how in some countries, particularly developing countries and very much so in LDCs, the shift to introducing climate change legislation is slow. At this stage, it's still very much policy focused. This has a lot to do with the internal governance structures of LDCs and other developing countries: there's a lot of power vested in their executive branches while legislative branches and judicial branches are less prominent when compared with many other countries. Introducing legislation could be more difficult to do in the first place and it can also mean that, when it is introduced, it might be less effective. A comparative study – looking at these trends, what's happening in different countries and identifying similarities – will be the next level of analysis going forward. While there are trends in how LDCs, as a group, are pushing ahead with climate change legislation, progress must ultimately be down to the ambition of individual countries – is that right? SB: Yes, exactly – it does depend on how ambitious a country is and the kinds of measures they want to take. But it also depends on national institutions, approaches, resources and even regulatory culture – these differ from one country to the next. There's no one-size-fits-all and that's why international processes and the rules coming out of them are more general and focus on transparency and encouraging action. Sticking to the climate change context, countries have committed to taking action on climate change. How that commitment is translated and implemented on the ground depends on the country, its culture, its legal system and so on. While one country might put in place a comprehensive green growth framework that addresses climate change impacts in the context of its development strategy, another might create specific climate legislation that gives its citizens an avenue to hold the government or others to account through the national judicial system, and yet another might establish an entirely new government department to drive climate policy forward in the country. So, while the international obligation sets a theme and provides background to what countries are committing to, countries ultimately decide how they will meet their obligations at home. Putting international obligations into practice at the national level works differently in some countries than others for the reasons I've outlined. How does the chapter's content relate to IIED's broader body of work in supporting the LDCs? SB: Part of IIED's work is to support LDCs as they try to achieve their global climate change priorities and implement their actions on the ground. Highlighting the realities and challenges faced by LDCs is an important aspect of this work. In the chapter we highlight some of the reasons that LDCs are falling behind in developing and enacting effective climate-related legislation. This is partly linked to the local context I've mentioned – for example the relative balance of power in governments – but it is also largely to do with resource constraints. These constraints are not just financial but also human and institutional: a lot of LDCs are very small and simply do not have the population base or endogenous expertise to undertake the level of action needed to address climate change whether regulatory or on the ground; and it isn't uncommon for many LDCs to lack critical institutions for enforcing or tracking the effectiveness of proposed legislation. With that said, the chapter also shows the remarkable leadership LDCs are demonstrating in this area and the bold action they are taking to push ahead with climate action despite the challenges they face. In the context of countries struggling to eradicate poverty and hunger, LDCs are punching way above their weight in terms of ambition in climate action, but this can often be missed in a broader analysis of climate change legislation that focuses primarily on the legislative activity in countries. This book and chapter are important for another reason. There is very limited work being published that gives a solid overall picture of what LDCs are doing with respect to climate regulation and law. In contributing to this book, we hope to highlight that what's happening in developing countries isn't necessarily representative of LDCs: they are in a distinct situation facing a unique set of challenges. So, what we've tried to do in this chapter is look at broader trends in developing countries and carve out some micro trends within LDCs. This Q&A was compiled from an interview with Teresa Corcoran (teresa.corcoran@iied.org), communications content officer, IIED's Communications Group.